As I said in my last LUSH Halloween post, I've been quite impressed with the huge selection Lush have offered us this Halloween! It's normally a really small collection, overshadowed by the Christmas range, so I'm pretty pleased to see so many Halloween bath bombs for my collection! 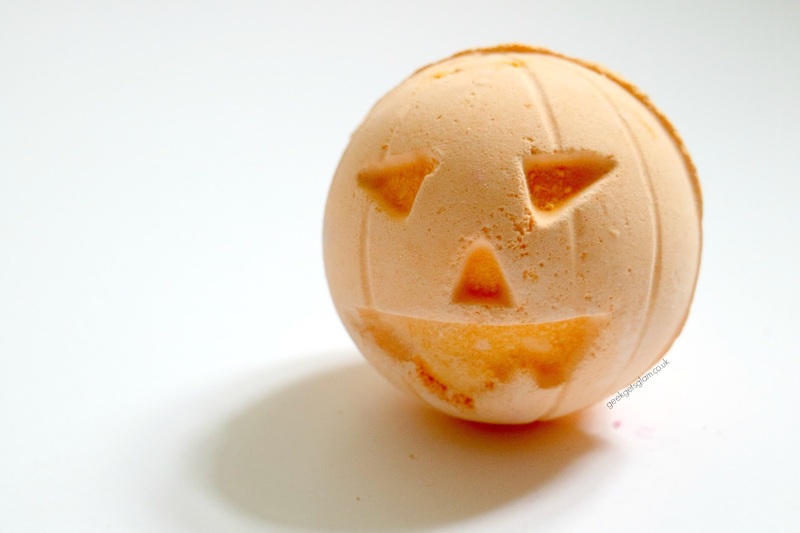 Today I'm talking about Pumpkin Bath Bomb. This bath bomb promises pumpkin pie smelling bath time goodness, and is a brand new one for Lush so I was looking forward to trying this one out. In terms of looks, this is my favourite Halloween 2016 bath bomb (Actually, it's joint favourite with Boo Bath Melt). 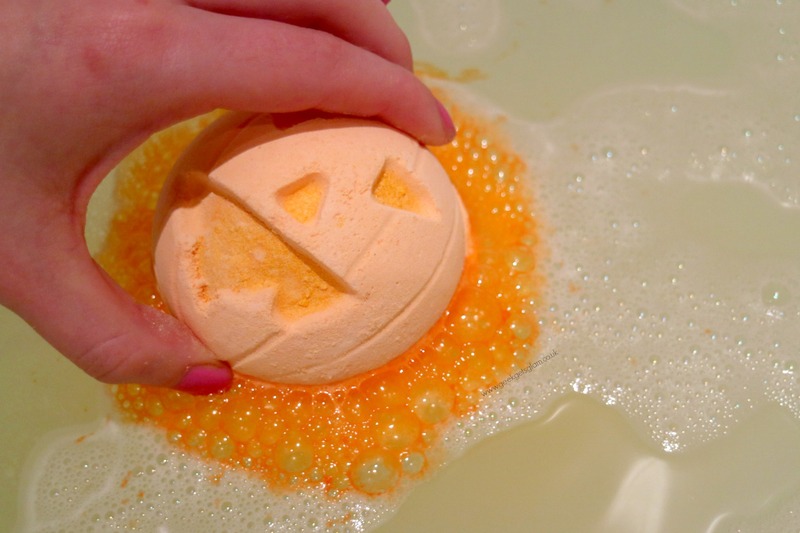 I love that Lush have taken on the traditional, spooky, carved pumpkin that everybody knows and loves, and made it into a treat for the bath. Pumpkins are synonymous with Autumn and Halloween so, seeing as the shape lends itself so easily to a bath bomb, it seems the obvious choice to be made into a fizzy ball of goodness! The Pumpkin bath bomb itself smells beautiful. Lush reckon it smells like a pumpkin pie which I disagree with to be honest - It's got a "Christmas cookie" kinda scent but less sugary which I personally love! It reminds me of candles that smell like home baking, which I cannot resist, so the fragrance is a winner for me but maybe a little too reminiscent of food/sickly for some. When you throw the Pumpkin in the bath he is a little unimpressive. 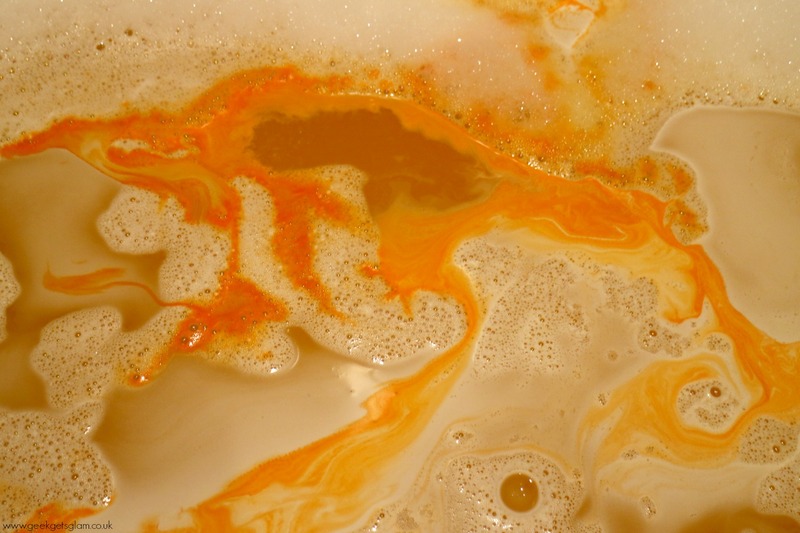 While the fragrance is gorgeous and fills the bathroom, the bath bomb itself just fizzes away leaving a bright orange bath. I don't mind really, and I had already put a load of bubble bath in before the baath bomb, but if you're after something a bit more visually impressive, you might want to try Lord of Misrule or Monsters' Ball. Overall, a comfortin and warming bath bomb for you to fall in love with on the chilly Autumn nights. Oh I loved this it's so festive, I love that it's was a fast fizzer too!